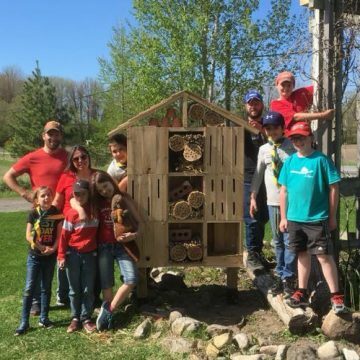 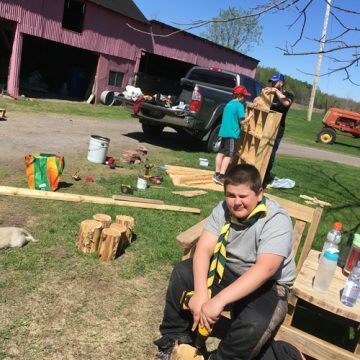 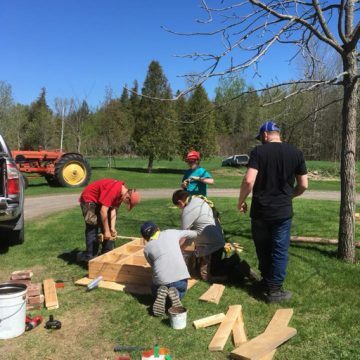 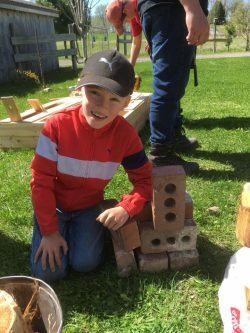 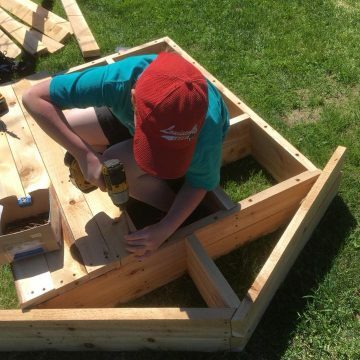 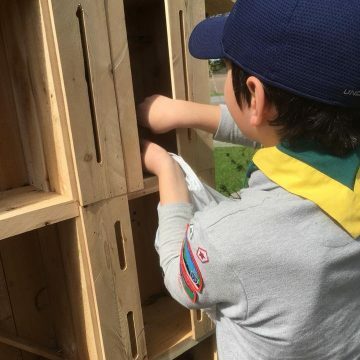 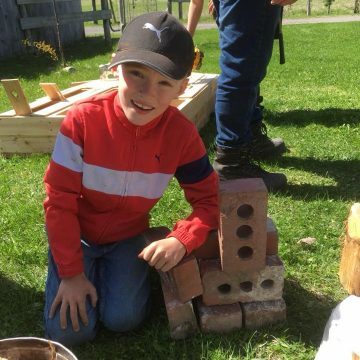 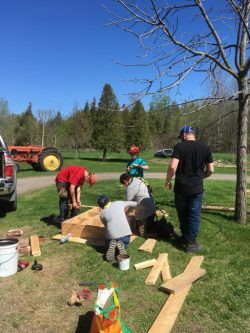 Months of hard work and effort by the 1st Huntingdon Beaver and Cub Scouts culminated on May 12th, when the youth proudly installed a pollinator insect hotel at the Reserve nationale de faune du Lac-Saint-François in Dundee, Qc. 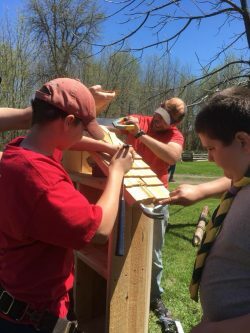 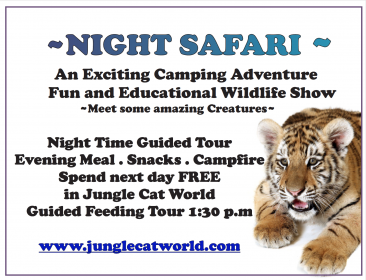 The inspiration for the project came during a visit in the spring of 2017, when the coordinator from the Reserve shared her plans with the Scouts for future additions they wanted to add to make the site more interactive for visitors. 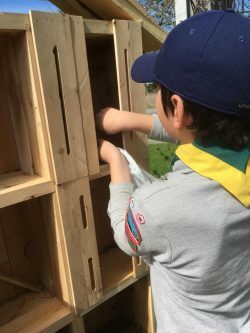 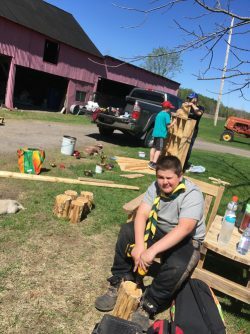 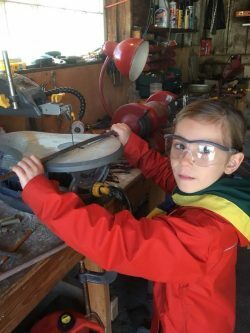 As a not-for-profit organisation, the Reserve relies on funding, donations, and volunteers so as a group, the Beavers and Cub Scouts were determined to come up with a way they could help. 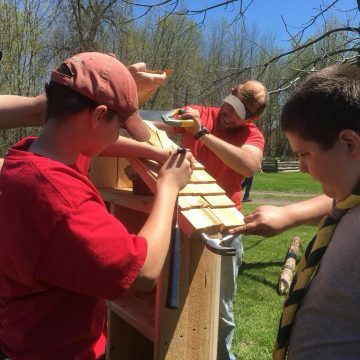 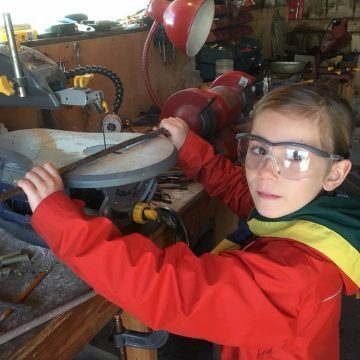 The 3rd year Beaver and Cub Scouts joined the ranks in the fall of 2017 so both groups could work together towards three main objectives: to find a way to meaningfully contribute to the Reserve; to use this project as a means to obtain their section’s top awards, which are the Beaver Scouts North Star Award and the Cub Scouts Seeonee Award; and they wanted to submit their project to Scouts Canada and the Sustainable Forest Initiative (SFI), who were selecting 20 EnvironMentality projects called “Adopt A Park” through an open call for proposals, in hopes of receiving financing to help with their project. 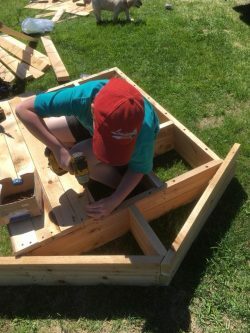 Through hard work and dedication, their efforts paid off: all three objectives were met! 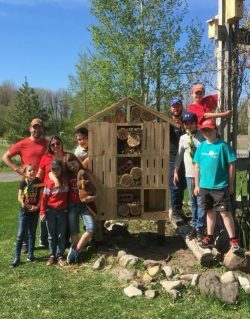 In fact, not one but two pollinator insect hotels were built with the financial help of Scouts Canada and SFI. 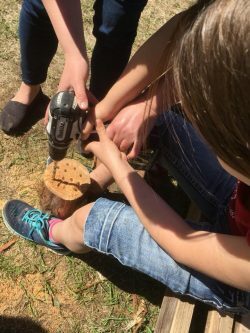 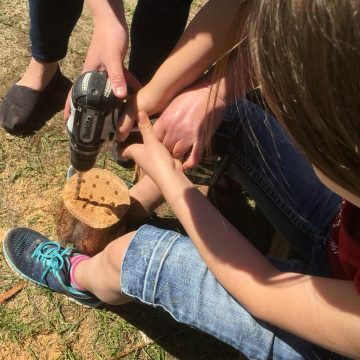 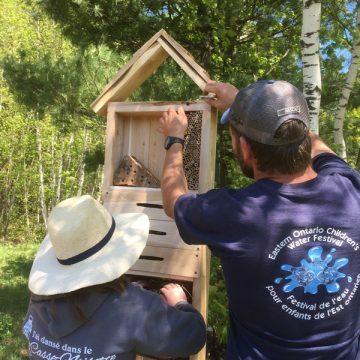 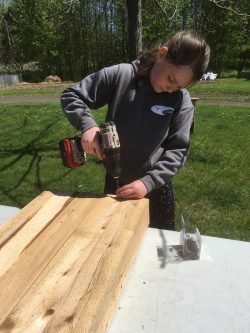 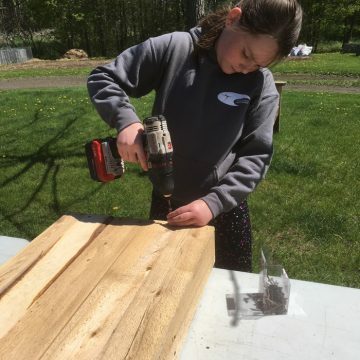 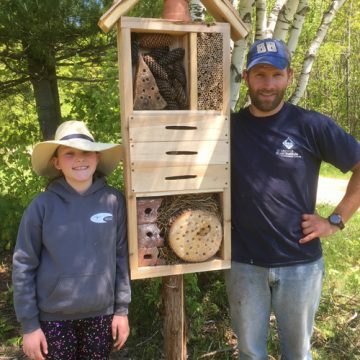 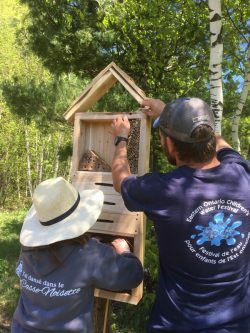 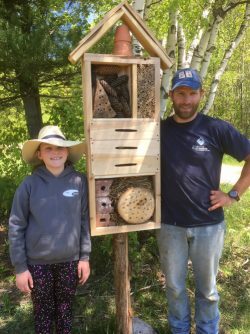 One was installed at the Reserve nationale de faune du Lac-Saint-François in Dundee, Quebec and the second smaller, but just as beautiful, insect hotel was installed at Dunn Memorial Scout Camp in Elgin, Quebec. 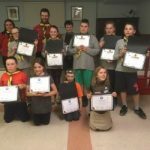 And to successfully cap off the project, all participating Whitetail Beaver Scouts and Howler Cub Scouts received their awards! 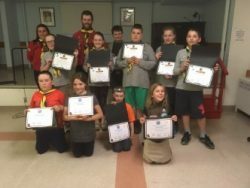 Congratulations to all the youth for a job well done!